The Lied Senior Care campus offers nine affordable, senior living apartments including one and two bedroom units. Apartments include stove, refrigerator, dishwasher, and in-unit washer and dryer. The apartments are located on a garden courtyard with beautiful mature olive trees, sitting areas and lighting for evening use. The apartments are secluded from traffic and access is protected by a wrought iron security fence for both the comfort and security of the residents. 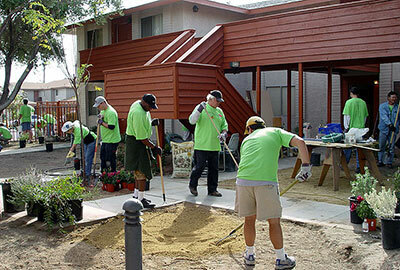 The courtyard and exterior buildings were the recipients of Harrah's Make a Difference Day renovation in 2008. 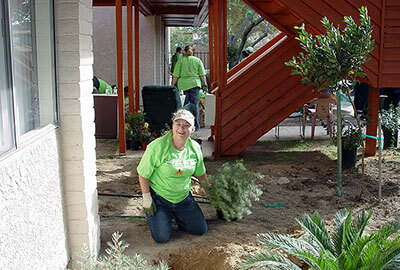 The apartments are co-located with The Adult Day Care Center of Las Vegas offering access to staff, a watchful eye, and on-campus resources Monday through Saturday. Please contact Sandra Mack (702) 648-3425 for information and availability.